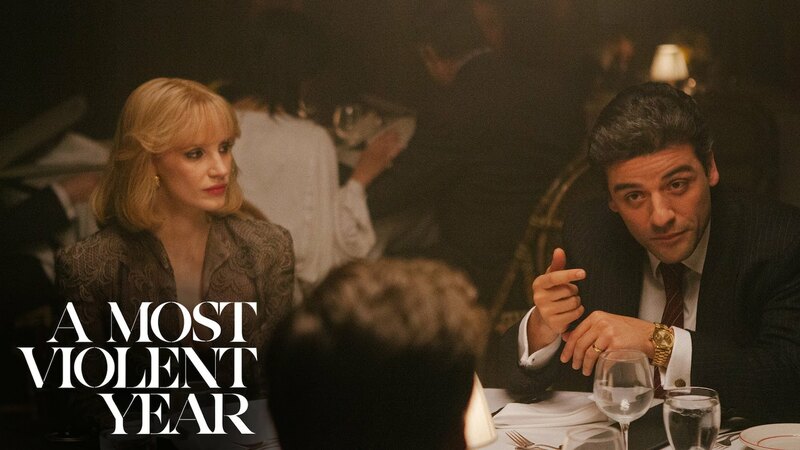 One must admit, A Most Violent Year was not on my radar for films to see. The heightened award nominations and Critics’ Choice MVP Award to Jessica Chastain sparked more interest, after my spouse suggested the movie. The blunt title and suspenseful trailer also gave me a little push in the right direction. Yet, aside from the terrific acting throughout the film, I left the theater feeling there should have been something more. The set for A Most Violent Year takes place in New York City during 1981, which was known statistically as one of the most violent years in its history. A business man named, Abel Morales (Oscar Isaac) struggles to maintain his personal morals while refusing to turn to violence, as others threaten his family and his fuel supplying company. Alongside him, is Abel’s strong and beautiful wife Anna Morales (Jessica Chastain), who at times becomes his strength and backbone for support. Tensions build, as the fuel supply company is placed under the microscope of the government for criminal activity. With rampart violence and corruption at the doorstep, Abel adheres to his morals without succumbing to the life of a gangster. One of the strongest assets to A Most Violent Year was the acting. Isaac did a fine job at the leading role of a smart hard working business man and was accompanied by Chastain’s stellar performance for supporting actress. The performances by both were spot on, as well was their chemistry between one another. The film was written and directed by J.C. Chandor who is currently still on the raise. There were many other notable actors such as; Albert Brooks who plays Abel’s attorney as Andrew Walsh and others more known for their roles in Boardwalk Empire. Personally, I felt the story somewhat lacked and needed a bit more. The film was filled with its share of suspense and drama, but for some reason it seemed viewers were mislead by the trailer and title. After watching the trailer, my perception was an action pack drama which was quite the opposite. Although unique, the story took awhile to get the audience engaged and the music was just plain out strange. Honestly, if it wasn’t for the superb acting, this film would have been par at best. If your are seeking advise for a date night movie selection, this film isn’t a horrible choice. Don’t let the title or trailer fool you as it did me. Judge for yourself, see it in theaters, but you might leave wondering there should have been more.